I don’t mean to make this blog into a book review site, but sometimes (a) bloggers run out of stuff to write about and (b) I occasionally read a really good book. I’m usually pretty attuned to adoption themed books, but rarely do I come across a great fiction story. 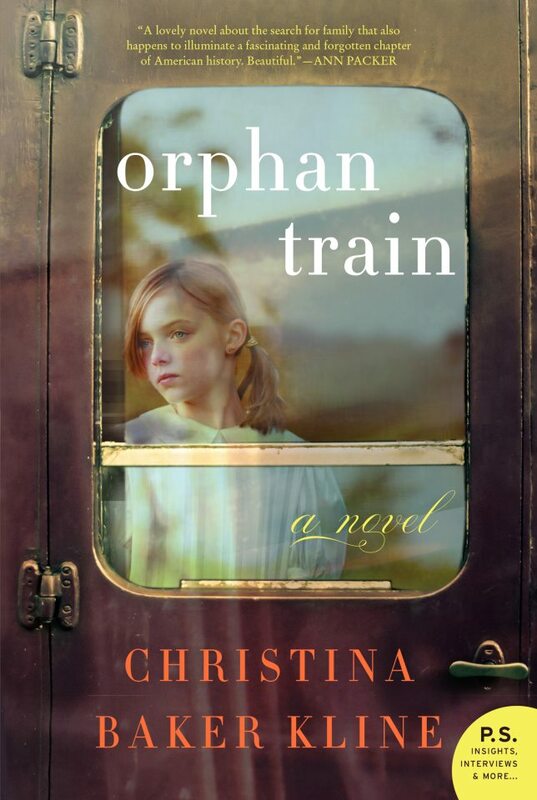 When I saw the title “Orphan Train” by Christina Baker Kline at my local bookstore, I judged that book by its cover and bought it. The story begins in present day Maine centered around a teenage girl named Molly who had bounced around in foster care for years, now living with foster parents, Ralph and Dina. 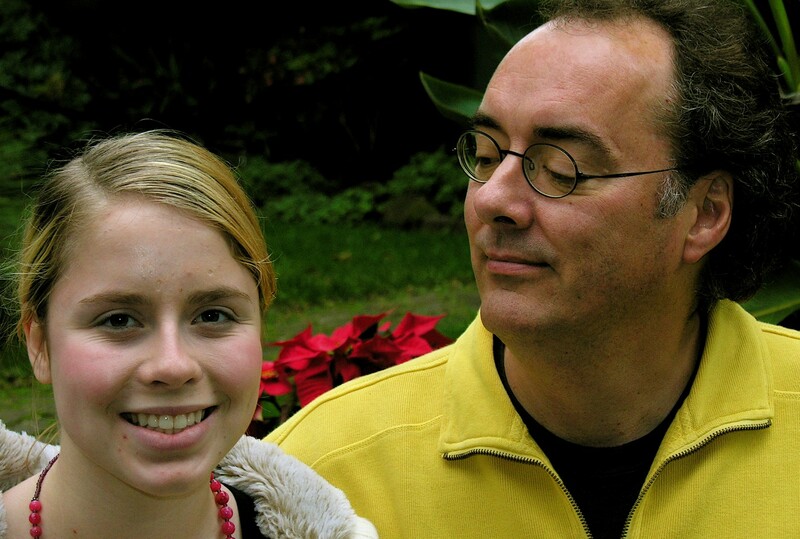 Molly’s father died in a car crash and her mother was in jail with a long rap for drugs. In lieu of a sentence to “juvie” for stealing a library book, she agrees to community service, helping an elderly widow, Vivian, clean out the attic of her stately home. I don’t think it’s a spoiler to reveal that through numerous flashbacks we learn that Vivian also has a past. She immigrate d to New York City from Ireland with her family in the 1920s, only to lose them in a tenement fire. 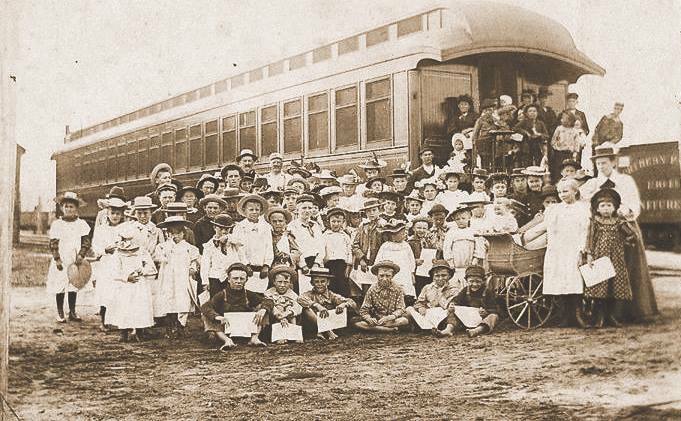 Sent to an orphanage, she is ultimately packed onto an “orphan train” with other children bound for the Midwest where families were looking less for a family and more for free help. Vivian’s Dickensian journey makes Molly’s foster parents’ mobile home look like the Ritz. The story is fraught with losses, reunions and family discoveries made too late. A true joy to read, it literally brought me to tears. 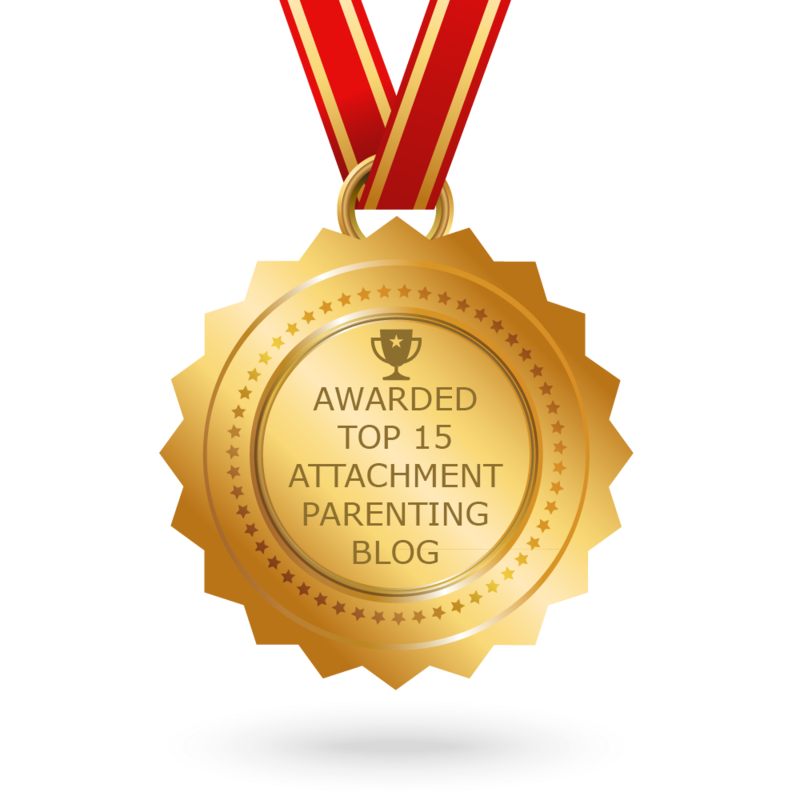 This entry was posted in Uncategorized and tagged adoption, Christina Baker Kline, orphan train. Bookmark the permalink.